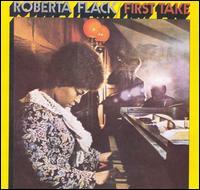 ROBERTA FLACK: FIRST TAKE: 1969: 4 1/2 STARS OUT OF 5 STARS: One of my goals this year as far as music listening goes is to listen to on average one 1969 album a day- I have fallen behind- after 82 days I am now at 77 1969 albums- so today I am going to play some catch up. I was surprised at how much I liked this album- it is Flack’s first album and it didn’t ‘catch’ on with the public until The First Time Ever I Saw Your Face- appeared in the Eastwood film- Play Misty For Me in 1971 and became a huge hit-then the album like the single went to the top of the charts. The album first off didn’t sound like the Flack I have heard- it is more of a jazz vocal album than a soul album. All the songs were written by others- including two by Donny Hathaway and she also covers a Leonard Cohen song. 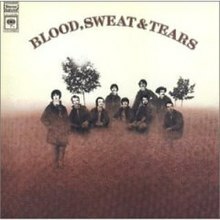 BLOOD, SWEAT AND TEARS: BLOOD, SWEAT AND TEARS: 1969: 4 STARS OUT OF 5 STARS: Their second album and their breakthrough riding the #2 hit Spinning Wheel- the album went to #1 on the album chart. I am not much of a fan of Blood, Sweat and Tears- but I found myself liking this album- other highlights- Smiling Phases- a cover of the Traffic song, You Made Me So Very Happy, And When I Die. I wonder if Blood, Sweat and Tears and Chicago ever toured together? 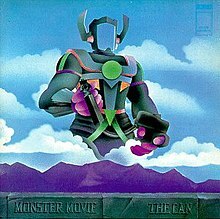 CAN: MONSTER MOVIE: 1969: 4 1/2 STARS OUT OF 5 STARS: Debut album by the German rock band Can- there are only 4 songs on this album- it still clocks in at over 38 minutes. One song “Yoo Doo Right” takes up the entire side 2- at over 20 minutes. My first thought was The Velvet Underground White Light/ White Heat era. Yoo Doo Right was pared down to 20 minutes the original was over 6 hours. The album seems ahead of its time for 1969. I am not all that familiar with the band but I enjoyed this album and will dig a little deeper into their music. 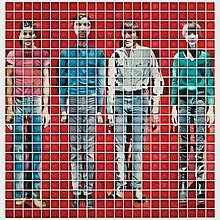 TALKING HEADS: MORE SONGS ABOUT BUILDINGS AND FOOD: 1978: 5 STARS OUT OF 5 STARS: This was my introduction to Talking Heads- the single “Take Me To The River”- an Al Green cover went to #26 on the Billboard Hot 100- I loved the song and went out and bought the album- and was a Talking Heads fan for the rest of their career. David Byrne’s unusual singing delivery and the crazy rhythms in the songs- had me hooked. Favorites on this album-Thank You For Sending Me An Angel, The Good Thing, The Girls Want To Be With The Girls, I’m Not In Love, Take Me To The River. This wasn’t your typical new wave band that is for certain. Like Talking Heads ’77 this is one the list of 1001 albums to hear. 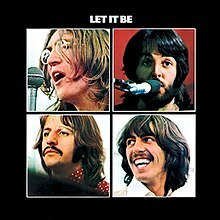 THE BEATLES: LET IT BE: 1970: 5 STARS OUT OF 5 STARS: 1- Let It Be- 2-Across The Universe 3-Two Of Us 4-Get Back 5- The Long And Winding Road 6-One After 909 7- I’ve Got A Feeling 8-Dig A Pony 9-I Me Mine 10-For You Blue 11-Dig It 12- Maggie Mae. Future Days is a really good Can album IMO. I like Damo Suzuki’s vocals a lot more than Malcolm Mooney’s. Not very familiar with them will have to check more of their stuff out! I can’t imagine a 6 hour song- The Beatles Helter Skelter was originally at 28 minutes or something like that before they edited it down- but 6 hours!! Hope you can find some Talking Heads..